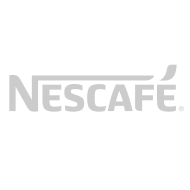 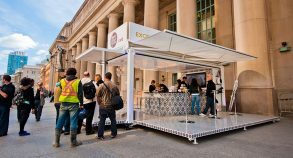 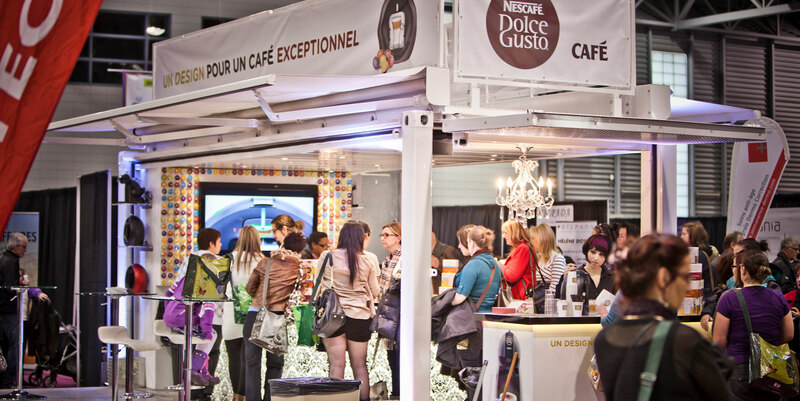 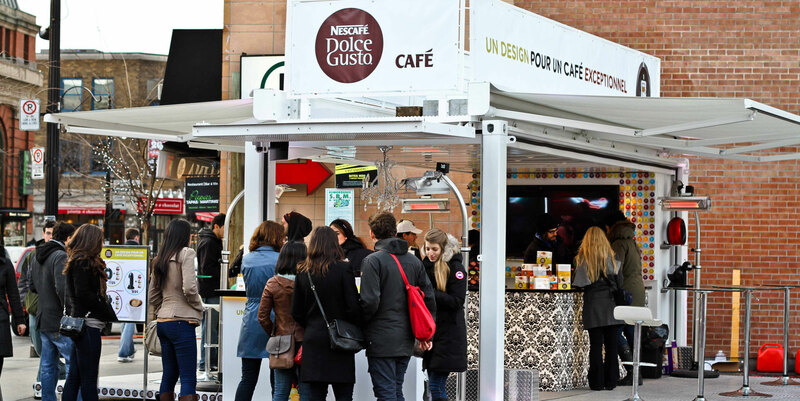 From their bold espressos, to their delectable latte macchiatos, Nescafé’s Dolce Gusto decided to hold a series of activations in various high traffic and consumer-friendly spots around downtown Montreal and Calgary. 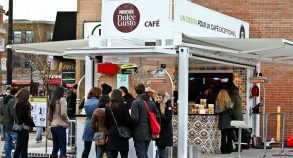 The brand wanted to briefly test their Dolce Gusto capsules and show off their cutting-edge coffee machines to get quick, direct feedback from consumers. 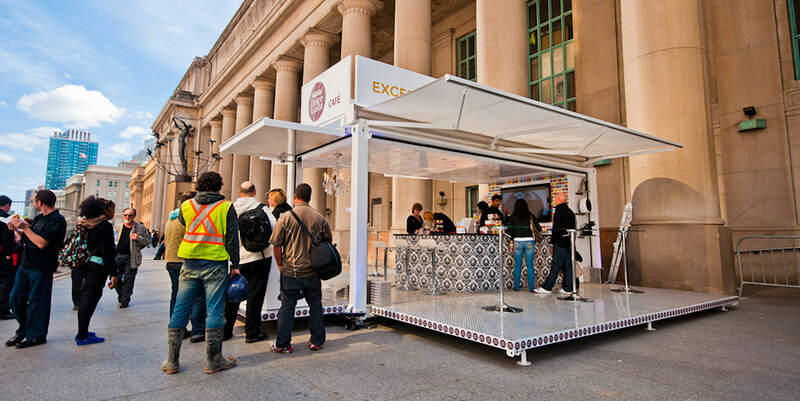 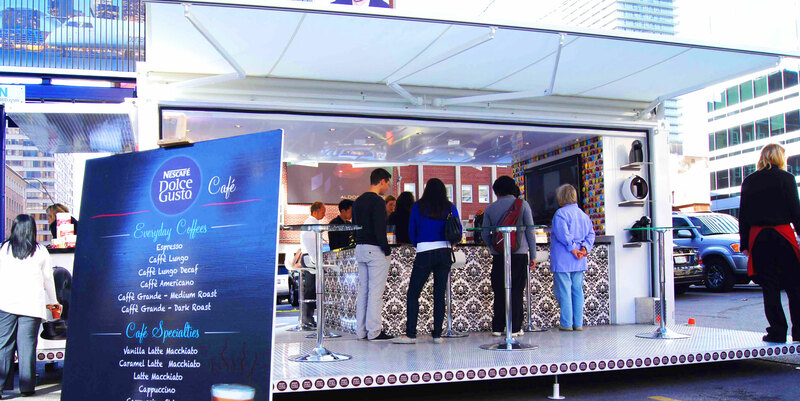 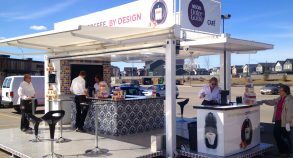 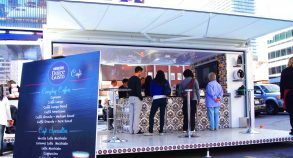 Steel Space Concepts created a mobile coffee bar/boutique with a transformed SS20 retail shipping container. 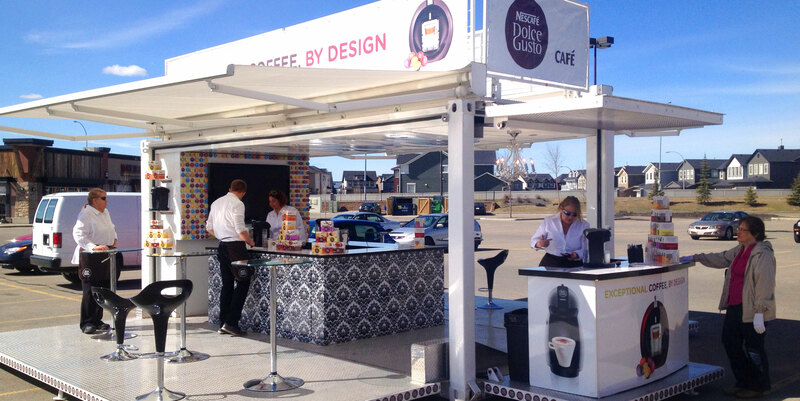 Nescafé’s brand ambassadors engaged with consumers onsite by presenting them with the product, answering their questions and asking clients for their feedback. 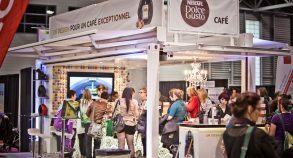 In addition to attracting new customers and increasing brand exposure, these interactions resulted in hundreds of Dolce Gusto machines being sold.